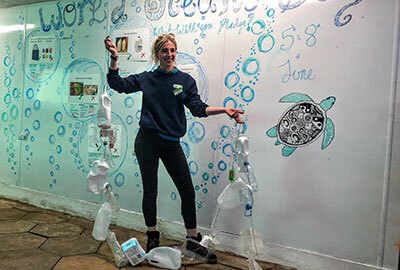 To celebrate World Oceans Day and to make a positive difference, the Cornish Seal Sanctuary have been using the rubbish they have collected on beach cleans to create the "Chain of Change". For the past week, the Sanctuary team have been working with visitors to create a chain made entirely of rubbish they have accumulated. 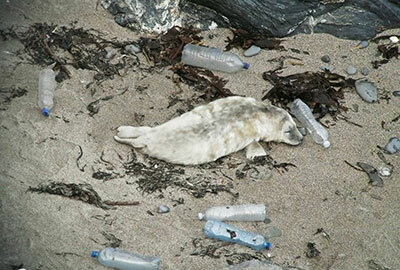 The rubbish has been primarily collected from beach cleans, but also the Sanctuary were helped by the residents of Gweek Village. A 220 litre bin was placed outside of the Sanctuary and a plea in the local newsletter for the village to dispose of their single use plastic at the Sanctuary. The bin was full to the brim within just a few days. The idea of the "Chain of Change" is in response to the overwhelming amount of single use plastic that is out on beaches and also in our homes. 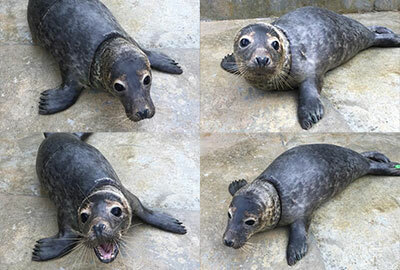 The Sanctuary, which is part of the Sea Life Trust marine conservation charity, knows first-hand the devastation it can cause as they rehabilitate seal pups that are admitted to the hospital that are entangled in marine litter and have sustained horrific injuries. 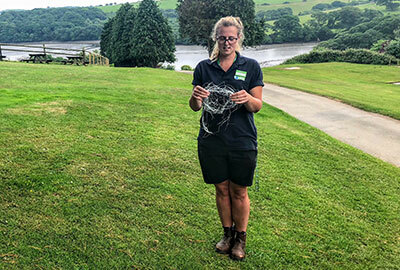 Visitors of the Sanctuary this week can make a pledge to the cause by adding a piece of rubbish collected onto the chain, signing their name on a pledge board and choosing one of the following initiatives to reduce their single use plastic. Jana Sirova, General Manager at the Sanctuary said "We want to help people fully visualise the issue and to start making simple changes in their daily lives to reduce single use plastic." The Sanctuary will be revealing the chain on 8th June 2018 at 2pm, World Oceans Day and measuring how long it is. The "Chain of Change" will be used in a future project at the Sanctuary, so nothing goes to waste.